Rated 4 out of 5 by nickname from Cool switch Great space saver I needed to expand an existing box in a tile surface. 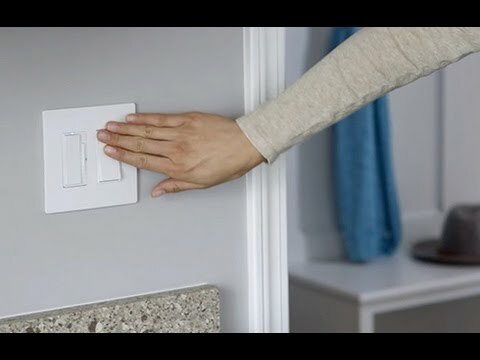 Wish it flipped east to west instead of north to south, as it is easy to flip the switch below to the garbage disposal when turning off the light on the upper paddle. Love my Le Grand dual-gang plug with USB ports and GFI also! Rated 5 out of 5 by TomTaylor99 from Love the look, such an update to my home We decided to upgrade our receptacles and switches around the house. It still had the original hardware and wiring, most outlets looked horrible when we bought it last year although everything was working. I started with the bedrooms and liked the upgrade so much that we decided to also upgrade the other outlets and switches in the study, living room and bathrooms. We probably spent a total of $500 for everything but it was well worth it. The house feels much more updated now, we both love the sleek look of the radiant series. The dimmers work great, we got outlets with USB charging ports, have nighttime lighting in the main rooms now and some of the light switches are wifi connected and can be managed through legrand's mobile app. Great products, I would do it again in a heartbeat. Can I wire this so that one switch is single pole and the other is a 3-way? Is there any way of using a timer on this switch? &nbsp;Is there a smart switch that can replace it without having to switch to a 2 gang box? We do not offer a smart switch that offers 2 switches in one location. Unfortunately I cannot think of a way to integrate this with a timer. TWO SINGLE POLE/3-WAY SWITCHES, WHITE RCD33W it states in the description Patented Snap-In Light Module (sold separately) transforms a combination switch into an illuminated switch in seconds. where do i find information on this?? Model #??? cost??? Can I get this switch as both switches being 3 way? Thank you for your question regarding Radiant switch(Model # RCD33W). 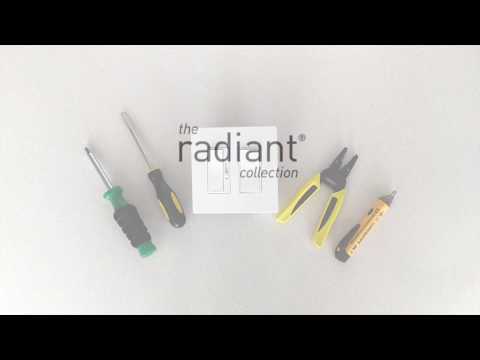 Yes, The Radiant combination switch(Model # RCD33W) can be installed using both switches in 3way applications.